Until Oxus Brewing opens up in a few weeks, Trans Canada Brewing is currently the newest brewery in Manitoba. They're located at 1290 Kenaston Blvd in Winnipeg, and only a few buildings down from Fort Garry Brewing. Ben and I stopped at Trans Canada after a very long day to get a bite to eat at their Timmy Tom's Pizzeria and try their beer before heading back to Brandon. 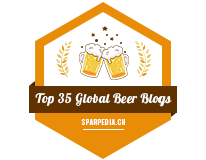 I picked up a bottle of their Pilsner and Session Pale Ale from their bottle shop to review. 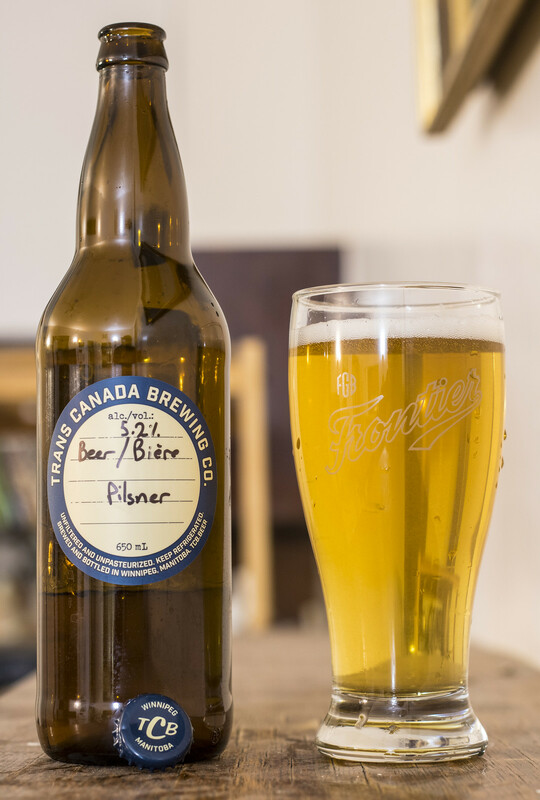 Appearance: TCB's Pilsner pours a light straw yellow with a slight hint of cloudiness.. which I'm not used to in a macro-influenced pils, light amount of white head. 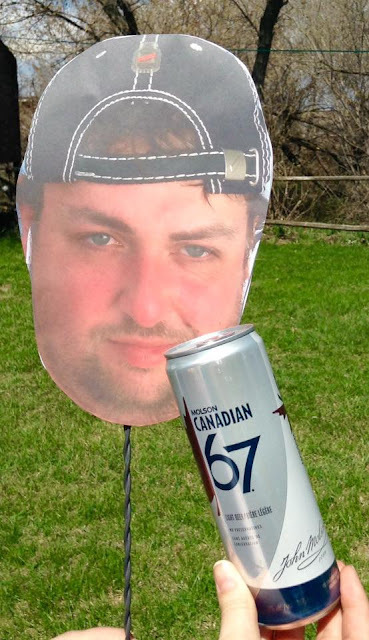 Aroma: TCB did a great job replicating the typical popular Canadian Pilsner - it's quite sweet, crisp aroma with a bit of graininess, grassy hops, and just a hint of skunkiness at the end. Taste: This beer is grassy, crisp, insanely easy to drink, has notes of lemon. When I'm thinking of a typical Canadian craft pilsner, this is incredibly on point to most pilsners. 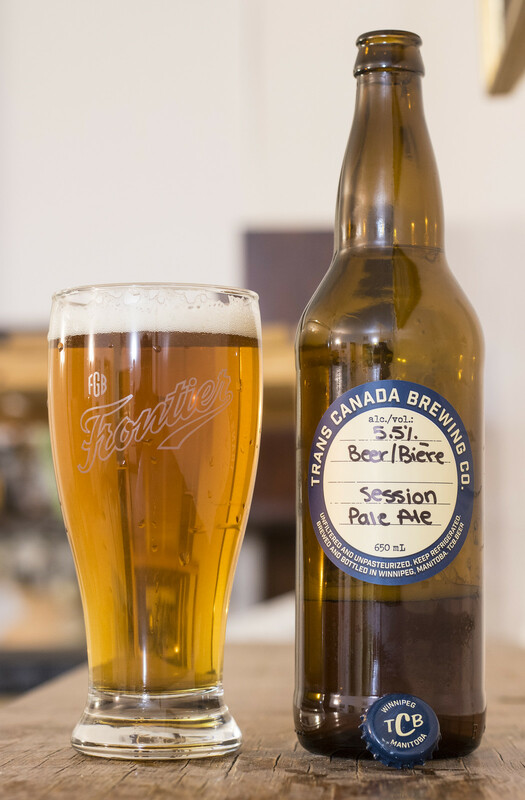 Appearance: Session Pale Ale pours a light honey amber body with a minimal amount of carbonation. The beer gives off a moderate amount of frothy, light beige foam on top. Aroma: Well, this has the scent of fresh pizza dough.. with the toppings on top! I'm getting a lot of a sweet doughy aroma with a liberal amount of oregano, and lastly - a bit of caramel malt. I'm hungry. Taste: This has a lot of a pizza vibe to it STILL! I get notes of a liberal herbal aroma that I can only describe as an abundance of oregano and garlic.. it's not possible to have garlic in this pizza.. is it? Or was this supposed to actually be part of a pizza?! Hint of lemon and light grassy hops. Overall Thoughts: Was this meant to be a pizza? I don't recall the last time I recalled tasting oregano and garlic in a beer. Definitely interesting but a bit over of the top for me. As well.. this is 5.5% ABV, I think a session is supposed to be 4.8% or under, but maybe I'm wrong. Incredibly interesting but it took a long time to drink this because I wasn't in the mood to drink a pizza.